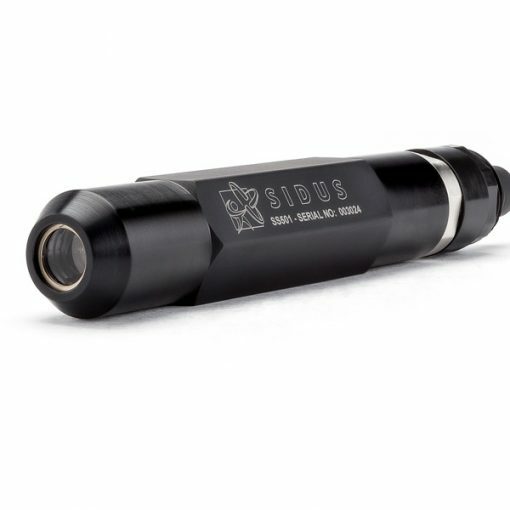 Sidus Solutions’ SS501 is a deep water pointing and scaling device that utilizes a powerful 532nm green laser. This product outperforms other less powerful underwater laser devices. With several laser output choices ranging from 5mW to 100mW, the SS501 gives you the flexibility to select the power that is optimal for your application. Additionally the SS501 features an integrated thermal management system for reliable operation in even the most extreme environments. Optionally, the SS501 can be configured with a 45 degree line beam (in water), which is particularly useful for depth analysis.